If you have to travel for your job, you might not always have the luxury of traveling alone. It’s highly possible that at some point your coworkers will join you. If you’re used to flying solo, traveling with a group might come as a surprise. We’ve assembled 6 tips to help you prepare you – and keep your sanity – for traveling with coworkers. Some companies tend to rent only one car on business trips, which means coworkers must ride together in the mornings on the way to meetings or work. If this is the case for your company, it’s important that you aren’t the last person to the car each morning, for several reasons. First, being late (or even simply last) does not create a good impression – and you certainly don’t want to be “that guy” who makes others later either. Second, if you’re the last one to the car, you get the last pick of the seats. Make it easier on yourself and be outside and ready to go early. If you have the type of coworkers who want to hang out together each night, humor them for a bit. 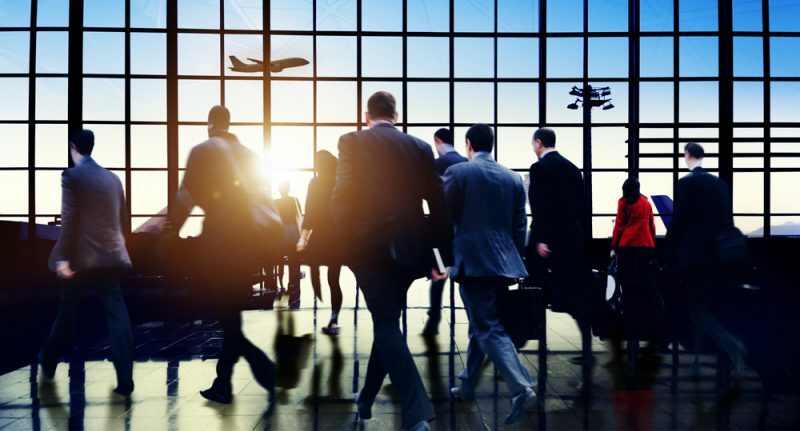 After all, traveling together can be an excellent way to get to know your fellow employees better, which will probably help you work better as a team. Even if you’re the boss or a little antisocial, don’t be afraid to join your coworkers for a drink – because if they’re all together and you’re not there, you’ll seem standoffish and they will be less willing to work with you. However, if it’s night three and you’ve had a long day, it’s okay for you to politely bow out of a get-together. Just make sure to be a part of the group at least once or twice before the trip comes to an end. Yes, it can be important to be a part of the group. But it can also be important to have some time for yourself. If your coworkers are getting on your nerves or if you’re exhausted after a long day, retreat to your room. Use the time to enjoy the quiet, watch a mindless episode of TV, or call your family back home. Your coworkers will understand because at some point they’ll probably be doing the same thing. If you have any ‘control freak’ in you whatsoever, do your best to be in charge of the schedule. This doesn’t mean obsessively planning each detail of how you’ll spend your time or being inflexible when it comes to where the team will eat dinner that night. Planning the schedule is really more important if you have a flight to catch or other things that occur at a very specific time. You can’t be late to catch your plane, and if you’re all riding together, your coworkers can’t be late either. Take charge of planning what time everyone needs to leave by, what route you’ll take to get to the airport, and include extra time for whatever ‘just in case’ that might pop up. If you’re the type of person who gets up at 6 am to go on a run or who won’t eat red meat, don’t change up your routine just because you’re with other people. Follow through on the things that make you happy or feel good. Otherwise, a potentially stressful situation only becomes more stressful as the things your body is used to are tossed out the window – and replaced with people with whom you’re forced to spend your time. Nobody wants that. Follow these tips and you just might make it back home with your sanity intact.